If you’re a tech-head like us here at the Chrome Unboxed office, chances are you’ve picked up a Brookstone catalog at some point in your travels. What can be best described as a toy catalog for grown-ups, the New Hampshire-based retailer specializes in a wide range of “lifestyle” products from drones to $4000 massage chairs. Brookstone is no stranger to the audio arena either. They offer a variety of home, portable and headphone devices to fit just about any need. Last week the company announced the addition of two Big Blue speakers with Chromecast built-in. The Big Blue Studio and Big Blue Party host some pretty impressive specs considering the relatively reasonable price. Now, maybe that’s more than you’re ready to pay for a Chromecast-enabled speaker (we’ve paid more). But, if the quality is reflected in the price and the types of products Brookstone sells, you’ll probably get your money’s worth. Additionally, the Big Blue Studio is on sale if you purchase two. For $199 you can grab two Chromecast-ready speakers from a company that specializes in luxury. 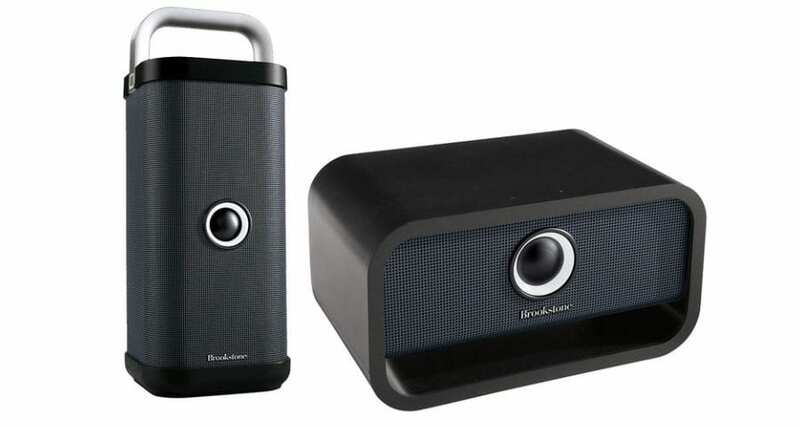 Another interesting note is Brookstone’s landing page for the new speakers. Big Blue with Chromecast built-in has been given its own category under audio & tech. When you head to the link you are greeted by a beautiful page that even offers how-to videos on setting up your new devices via wifi or Bluetooth. There’s even a walk-through for grouping your Chromecast speakers. It’s clear Brookstone spared no expense and likely this is a sign we can expect to see more devices coming in the future. Check it out for yourself at Brookstone.